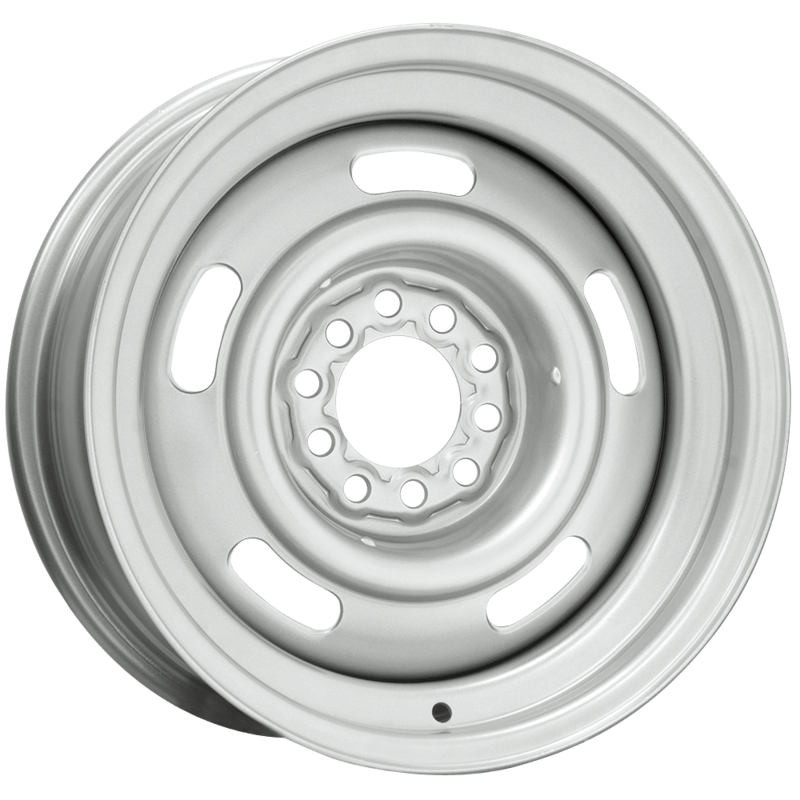 These Silver Chevrolet Rallye wheels are an excellent fitment for 1967 to 1982 Chevrolets, specifically those that are rear wheel drive. We offer original sizes, as well as larger sizes to fit custom applications. For all non-original sizes, we suggest measuring your car and compare them to our backspacing specifications to make sure they will fit. These silver powder coated wheels will add a nice finished look to your Chevy whether it's a Corvette, Camaro, or Chevelle. Chevy Rally Wheels have become hugely popular wheels over the years, not just on their original stock fitments, but on all kinds of hot rods, street rods and street machines. Made in USA! Caps and accessories not included, sold separately. Just to double check before I order, these are 4" backset, not 4 1/4" backset, right? Yes, these have a 4" backspacing, as listed here.